The risk of acquiring Lyme disease from ticks, such as this western black-legged tick, is higher than had been assumed, according to a new Stanford study. The San Francisco Bay Area’s broad swaths of trail-lined open space hold higher risks of tick-borne disease than previously thought, according to a new study by Stanford researchers. The scientists collected 622 ticks (typically western black-legged ticks) from 20 sites in recreational areas from Sonoma County in the north to Santa Cruz County in the south by dragging white flannel blankets along the vegetation and leaf clutter. After bringing the ticks to a lab, the researchers extracted and analyzed their DNA. Among other surprising discoveries, they found that a higher percentage of nymphal (young) ticks were infected with the bacteria Borrelia miyamotoi, a recently discovered human pathogen, than on the East Coast. The corkscrew-shaped bacteria produce Lyme disease-like symptoms. Nymphal ticks are much smaller than adult ticks and thus are less likely to be discovered when they hitch themselves onto humans walking outdoors. “Users of recreation areas in the Bay Area need to know the risk of tick-borne diseases such as Lyme is real, and not limited to other parts of the country,” said co-author Eric Lambin, the George and Setsuko Ishiyama Provostial Professor in the School of Earth, Energy & Environmental Sciences and a senior fellow at the Stanford Woods Institute for the Environment. 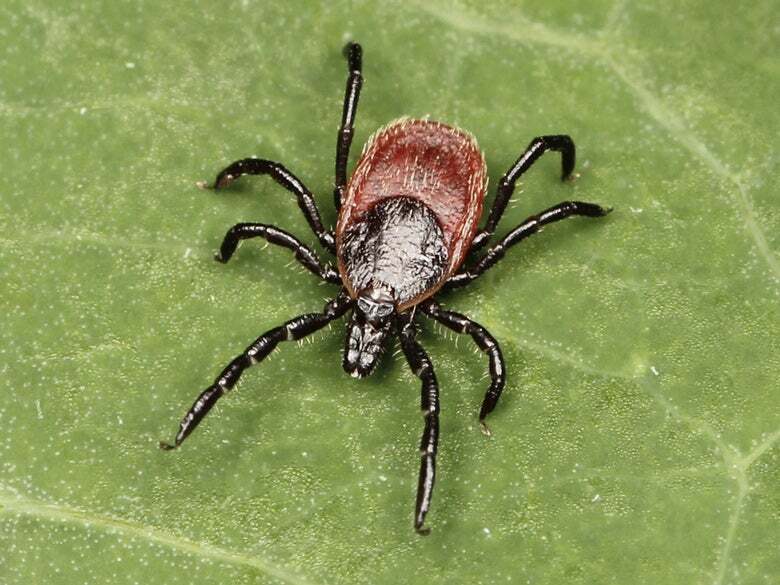 The research, published in PLOS ONE, found the density of non-infected ticks, infected ticks and disease risk varies widely and unpredictably among different habitats (e.g., coast live oak, redwood, grassland) and geographic areas. However, tick-borne disease risk appears to be higher in redwood forests than previously believed. Although ticks are found in lower densities among redwoods than some other habitats, they are consistently present and harbor B. miyamotoi and Borrelia burgdorferi, which causes Lyme disease. Also, tick-borne disease exposure appears highest in coast live oak-dominated woodlands. The authors caution, however, that the statistical association is too weak to serve as a basis for targeted preventive public health policies and awareness campaigns. “Tick-borne disease ­­should be on the radar for physicians who are not always cognizant that Lyme disease is present in the Bay Area,” said lead author Dan Salkeld, a research scientist at Colorado State University and former lecturer at Stanford who started the research while at the Stanford Woods Institute. Lyme disease can be difficult to diagnose, but its early symptoms include fever, headache, fatigue and sometimes a rash that looks like a bull’s-eye or other shape centered on the tick bite or that may appear on other parts of the body. If left untreated, the infection can cause a range of health problems from arthritis and joint pain to immune deficiencies and a persistent cognitive fog. Most people recover with antibiotic treatment but, for unknown reasons, some patients who suffer from a variety of Lyme-like symptoms find no relief from the normally prescribed therapy. Although the majority of U.S. Lyme infections occur in the Northeast, incidence of the disease is growing across the country. Changes in climate and the movement of infected animals may be partly to blame. B. miyamotoi, little understood and little documented in humans, potentially poses as much risk of transmission as the bacteria that cause Lyme, according to the study’s authors. Like earlier related research by Salkeld, Lambin and others, the findings raise the question of whether B. miyamotoi has gone undetected in California residents. Although some Lyme-like symptoms are known, diagnosis is complicated. Part of the reason is that tick-borne disease tests and diagnostics have been designed only for Lyme disease caused by B. burgdorferi, according to Salkeld. The study’s authors point out that locally specific information about exposure risks could help people avoid tick-borne disease. An interdisciplinary Lyme Disease Working Group at the Stanford School of Medicine is exploring ways to improve diagnostic tests and medical understanding, evaluate the effectiveness of innovative therapies, expand clinical services and build greater public awareness. The research was funded by the Bay Area Lyme Foundation. Co-authors of “Disease Risk & Landscape Attributes of Tick-Borne Borrelia Pathogens in the San Francisco Bay Area, California” include Nathan C. Nieto and Stephanie Cinkovichof Northern Arizona University and Patricia Carbajales-Dale and Michael Carbajales-Dale of Clemson University.